If you are looking for an engaging and fun way to spark innovation among employees you will like this idea that I call; “Lion’s Den.” This interesting employee event is loosely built on the concept of the television shows, “Shark’s Tank” and “Dragon’s Den,” in which, hopeful entrepreneurs are given an opportunity to pitch their business idea to prospective investors with the hope of getting them to help fund their business. Similarly, the premise of “Lion’s Den” is to encourage employees to pitch their innovative new ideas and concepts for the business to the leadership team with the hope that the leadership will recognize the value of their ideas and implement them. The payback they will receive, if they successfully “sell” their innovation to the powers that be, is reward and recognition from the organization with the anticipation that this will lead to improved professional progress and status. I have facilitated Lion’s Den, with great success, in my consulting practice. I apply it as a session to spark innovation among all employees, regardless of their role or position within an organization. My premise is that everyone, in all departments: accounting, sales, marketing, manufacturing, engineering, human resources, operations, distribution, and so on; have great ideas. Given the right forum for exposure, these ideas can take shape and receive leadership support to move forward and eventually develop into new or improved products, services, processes, structures that will benefit the organization. The Lion’s Den sets the scene for all employees to start thinking about innovation and working on ideas that will have an impact on them, the organization and/or the customer. This can include: new processes, new services, new products, new markets, new efficiencies and so on. The symbolic meaning of lions, as one might imagine, primarily deals with strength. “Lions” symbolize bravery, leadership, being a champion, conqueror, fighter, hero and warrior. I believe all of these are characteristics of an innovator. A “lion’s den” is potentially a trap that can lead to an unpleasant situation in which a person or group of people criticizes you or your ideas. But just like the biblical story of Daniel, who was cast into a lion’s den by the king, the outcome of Daniel’s survival and ultimate deliverance, was that he was raised to higher office by his royal master. So the outcome of getting through the “lion’s den” for employees who manage it, has a similar possibility. This global organization has over 1,000 employees spread across several locations in North America. The Lion’s Den meeting we organized was held off site and we started in one location in North America. Since it was impossible to have everyone in all locations attend, we decided to hold the first Lion’s Den session as 3-day off-site event for 144 employees. The employees were to be divided into 24 teams of 6 employees per team. Do you have any ideas that will solve a major problem, customer issue or process challenge? Do you have ideas for new and/or improved products or services? Have you been with the organization for at least 2 years? How comfortable are you with the idea of working in a diverse team of individuals? How willing are you to spend 3 days away from your daily work? These were certainly broad guidelines. But our intent was to demonstrate that everyone could participate and we were looking to see who would come forward and submit a nomination to participate. As it turned out, we received 400 submissions. We sorted them by department and position and then arranged them to have a diverse group of people. We finally selected 144 names of nominees from various departments and positions. This was only the first Lion’s Den, so those who were not being included in the initial session were still eligible to attend a future session. All the employees were seated in the conference room, waiting to hear what this is all about. The CEO addressed the group first. He set the stage for innovative thinking. He emphasized that no barriers should be placed on the innovations. Time, money, resources and other perceived barriers are just challenges that we must overcome. The cost-benefit of each innovation is what will prevail. He encouraged risk taking. He stressed the need for collaboration in all teams. I spent the rest of the morning with them. We started with the agenda for the 3 days. Day 1 is broken into a morning and an afternoon session. The morning was spent on learning the innovation process. 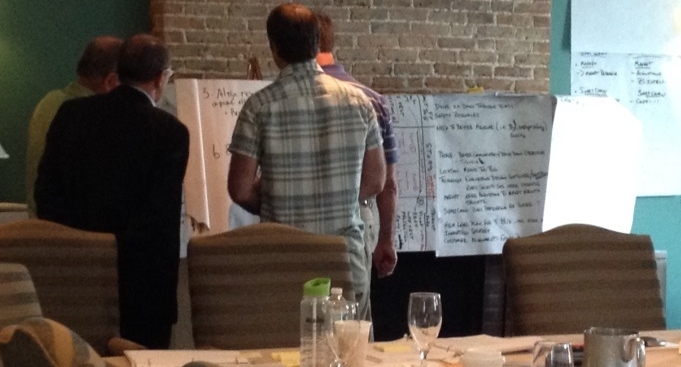 Everyone had templates to help them apply each one of the innovation process stages. The employees were told that their ideas must solve a current problem and have a clear value proposition. All ideas must fit with the organization’s key strategic imperatives as well as its values and principles. They must all recognize that everyone can be involved in innovation because it is more than just about products. It is also about services, structures, processes and so on. To get innovative ideas going, questions were posed to the employees such as: “What is impossible to do in our business, in your job and/or in your department today, but if it can be done, will fundamentally change what our business does, what you can do and so on?” That is where innovation will begin. Then we broke the group into 24 teams of 6 individuals each. Each team included a mix of departments and positions. This would ensure a good mix of technical and creative individuals on each team. Each team was asked to pick their innovation team leader. Once created, each team set their own ground rules for working together. Then they spent the afternoon generating ideas and applying the innovation process to their ideas. All of the innovation teams continued to work on their innovations. They followed our innovation process and continued to explore their innovations. I circled all of the rooms, providing guidance as necessary. The levels of engagement were amazing. Many of them worked through lunch, dinner and the evening. They took breaks, went for walks and applied a variety of brainstorming techniques they had learned. Some teams requested changes in their team members because they required some technical expertise to test their innovations. Changes in team members created new dynamics and proved beneficial. By the end of the day their business cases were ready to present to the Lion’s Den. All the employees in their innovation teams were now ready to make their presentations to the Lions in the Lion’s Den. This lions included myself and selected members of the senior leadership team. Each innovation team was given a maximum of 10 minutes to present their innovation business case, give demonstrations, etc. They were told that there would be a hard stop at 10 minutes. Some teams needed more time but this wasn’t permitted in the Lion’s Den rules. Clarity about the description and value proposition being proposed by each team. All employees, as well as the Lion’s in the Lion’s Den were given a chance to “vote” for the innovations that were going to be considered for further exploration. 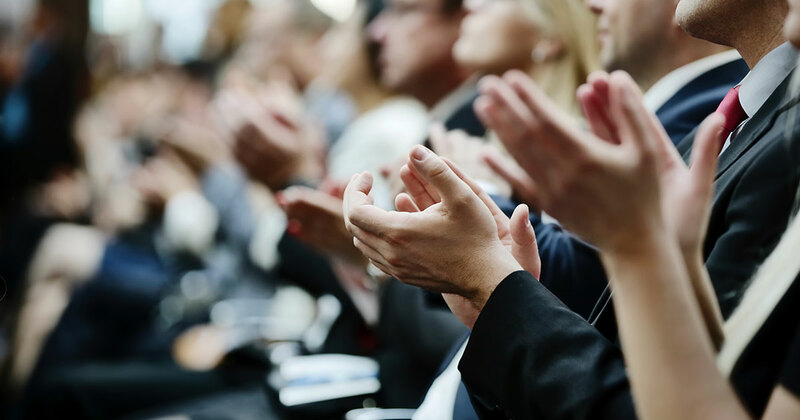 Voting criteria was intentionally vague; attendees were asked simply to vote for the coolest and most engaging innovations – the ones they believed best met the criteria of impact on the organization and/or the customer and/or employees. The highest total scores of the top 5 innovation teams determined which teams would pass through the Lion’s Den. These top 5 innovation team members received a special prize and their innovations would be taken back into the organization for further analysis. Before the Lion’s Den, this organization’s innovation process was ad hoc. There really wasn’t a defined process and most employees weren’t engaged in generating ideas. Now, with regular use of the Lion’s Den employees are given an opportunity to come together to work in teams to generate and fine tune their innovative ideas to ensure that these ideas are given a chance to move from vision to reality and become innovations for the organization. Of course the leadership team plays a critical role in ensuring success. They must be sure to execute the top innovations that are the outcome of these sessions. Otherwise, the lion’s den will be a wasted exercise and employees will soon lose trust in the process and stop participating or working on possible innovations. And it’s value will be greatly diminished.